If you’re looking for new flavors on your cooking roster, marinating your meat before applying the heat can be an amazing step. It works for the busy chefs, but also for the ones who like to take their time in the kitchen. 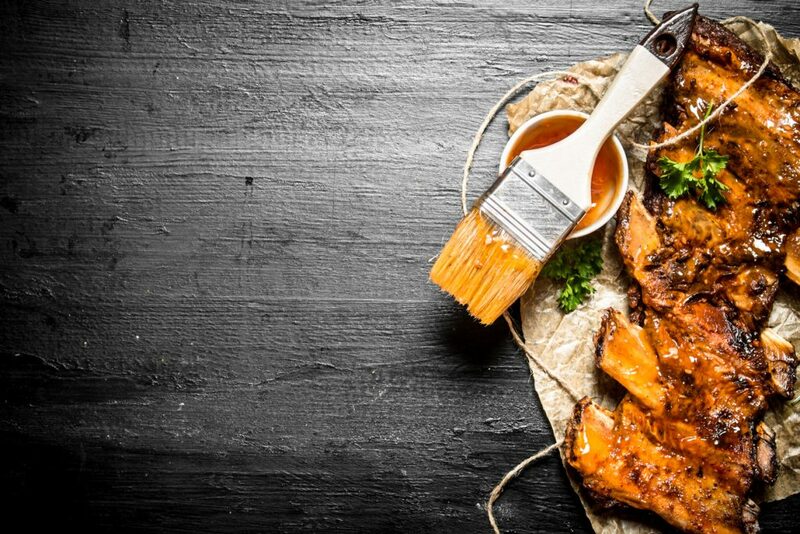 The basics of marinade are just that: the simple steps you can take to step up your cooking game. How I shudder at the thought of me grilling before finding out what a marinade was. The tough meat, the lack of flavor whatsoever, the hard-to-chew quality of the steak… I can’t believe that I didn’t even use seasoning for the meat. I am not trying to shame anyone for the way they cook their meat, but I keep thinking about a world of flavor which was closed to me before. Now I know the power of the marinade and how it can be deployed to enrich the flavor, completely transform the meat into something else, a steak with personality and, pardon the pun, bite. Marinades bring so much flavor to your steaks and ribs. Any marinade has three basic components: an acidic one, a fat one, and a flavorful one. Acidic ones come from citrus like oranges, lemon, and lime, pineapple, papaya, but also tomatoes. You can also find acidic components in vinegar, alcohol, and dairy products like yogurt and buttermilk. The acidic part of a marinade can tenderize the meat so it can be more tender once it’s done. The fat part of the marinade boils down to oils. 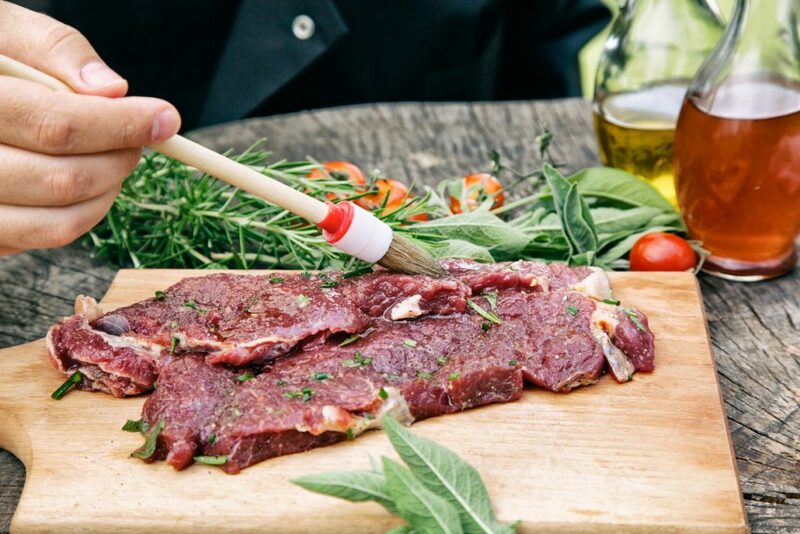 They help the meat retain the moisture during cooking, for a juicy steak as a result. 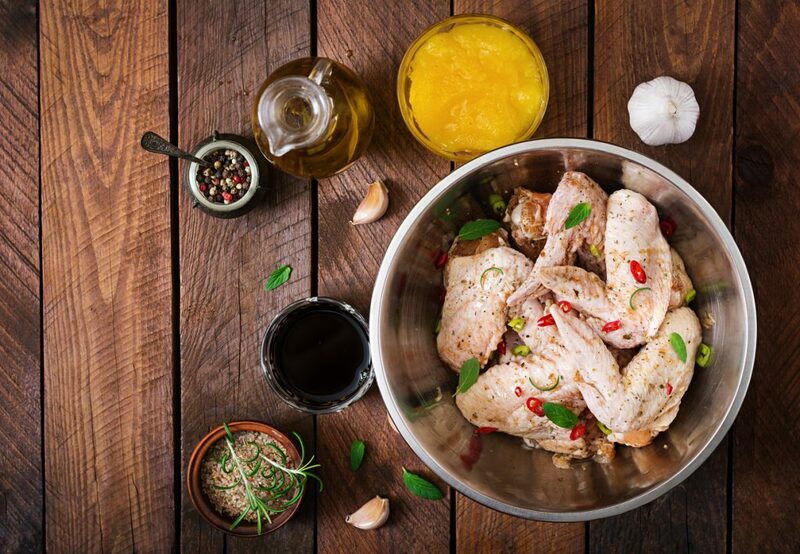 Oils like olive oil, sesame, pumpkin, walnut or hazelnut can bring their own flavors to the marinade on the table. If you want something a bit more neutral, then go with vegetable or sunflower seed oil. The third component is the flavor. This comes from spices, fresh herbs, dried herbs, veggies like onion and garlic, or other condiments and sauces. The latter ones range from ginger, honey, mustard, and soy sauce. 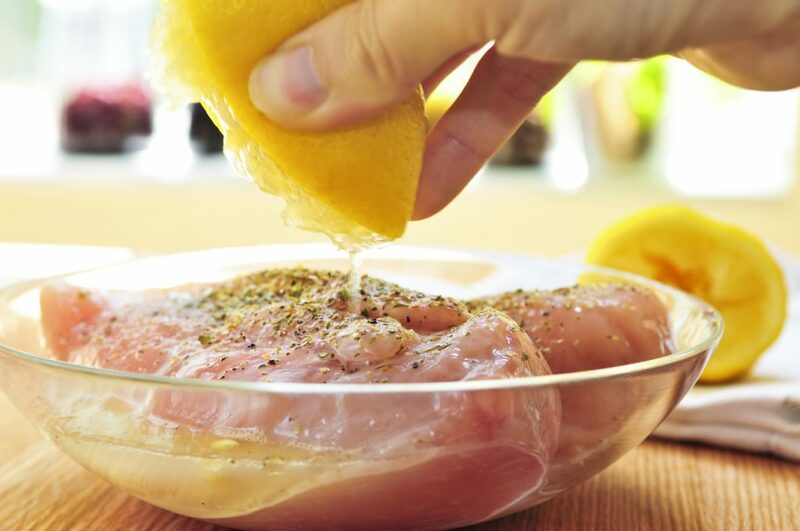 Every marinade should have an acidic component like lemon juice. This is essential because too much soaking can ruin the meat you’re working with. Poultry like chicken, turkey, or duck shouldn’t marinate for more than an hour and a half, because the acidity, especially citrus juice, destroys the meat, makes it dry and chewy. When it comes to beef, tender cuts like steak, tenderloin, and filet mignon should be marinated for two hours, tops! If you have tougher cuts to work with (chuck steak, shoulder steak), know that you can marinate them for over four hours. Even overnight, if the cut is large enough. And last but not least, pork should only soak in the marinade for about two hours – tender cuts like pork chops and tenderloin. But no cut of pork should marinate for longer than eight hours. Once you have made the marinade, coat the meat in it and transfer it to the fridge. Letting the meat on the counter to marinate is a health hazard, so make sure to always keep your meats and marinades in the fridge. Bacteria can grow rapidly at room temperature, and I don’t think you want to stay at home with a bad case of food poisoning. And while in the fridge, cover your meat, so you make sure that it won’t contaminate other food on the shelves. If you’re keeping the meat for a longer time, flip the pieces so that all their sides are exposed to the flavorful goodness. The proportions of to the meat are one of the basics of marinade to learn about. Too little marinade won’t add much to the meat and won’t tenderize it. At the same time, too much marinade drowns the meat and it cannot take in all of the flavors. The best proportion is about half a cup – three quarters, at most – of marinade per pound of meat. Make sure that you don’t overdo it or underdo it with the marinade.